Connect your computer or audio device (iPod, MP3 Player, etc.) to a stereo receiver or multimedia speakers. 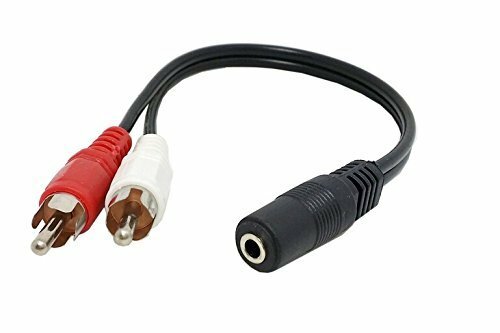 Features 3.5mm, gold-plated connector plugs with standard RCA cables - The MUFMRCA 6in 3.5mm to RCA stereo audio cable features one 3.5mm (TRS) female and 2x RCA male connectors, enabling you to connect your portable audio device ( iPod or other MP3 player) to your home stereo.